I hope you all had a wonderful week! I am on fall break now and enjoying every minute of it! Two weeks ago, I hesitantly purchased this turtleneck sweater from Loft and quickly fell in love. I haven’t worn a turtleneck in about 10 years, but I am now a loyal fan. Maybe I am just late to the turtleneck scene, but if you do not own one, I advise you to jump on this train very quickly. 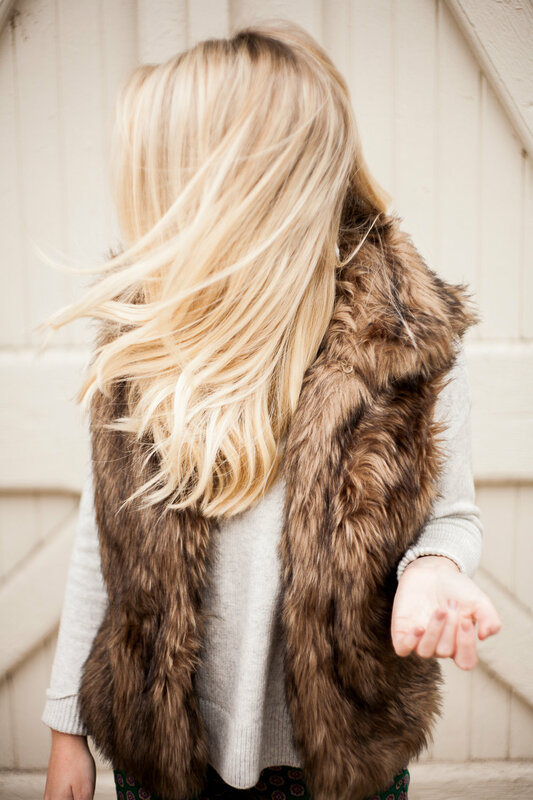 I have been counting down the days till I could break out this faux fur vest again. 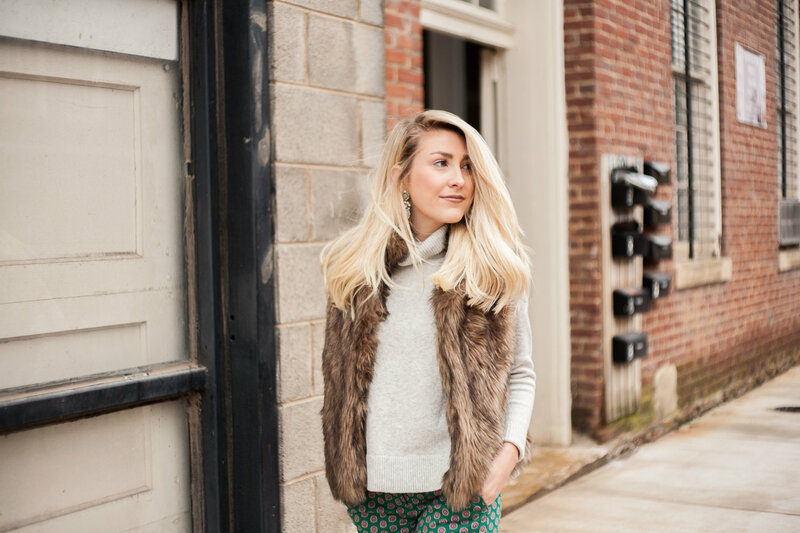 I practically lived in this vest last fall and look forward to styling it new ways again in the upcoming months. 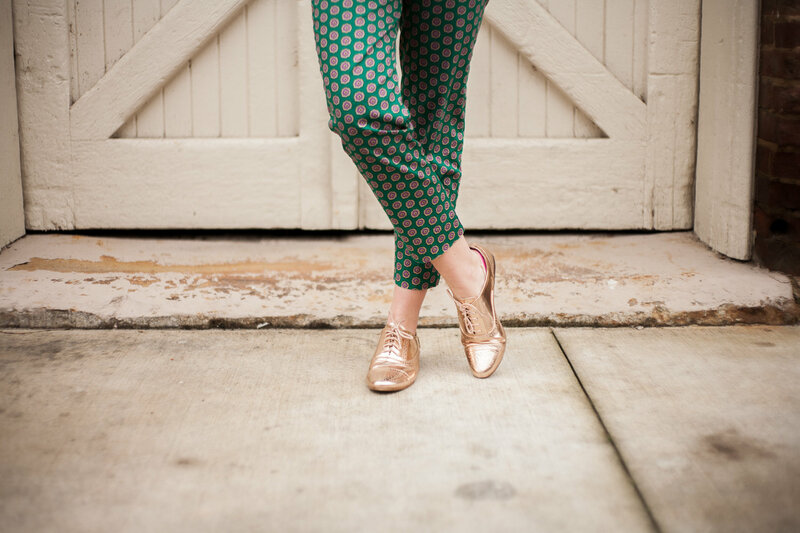 If you follow me on Instagram, then you have probably noticed my obsession with these metallic oxfords. I don’t think I have ever owned a pair of shoes that I have loved this much. They are gold and shiny, I mean how could it get any better than that? I will be traveling a lot these next couple weeks, so feel free to add me on snapchat >hannahshanae< and on Instagram to see where I go! Have a great weekend! I am in love with these shoes! So adorable!! This is super cute! 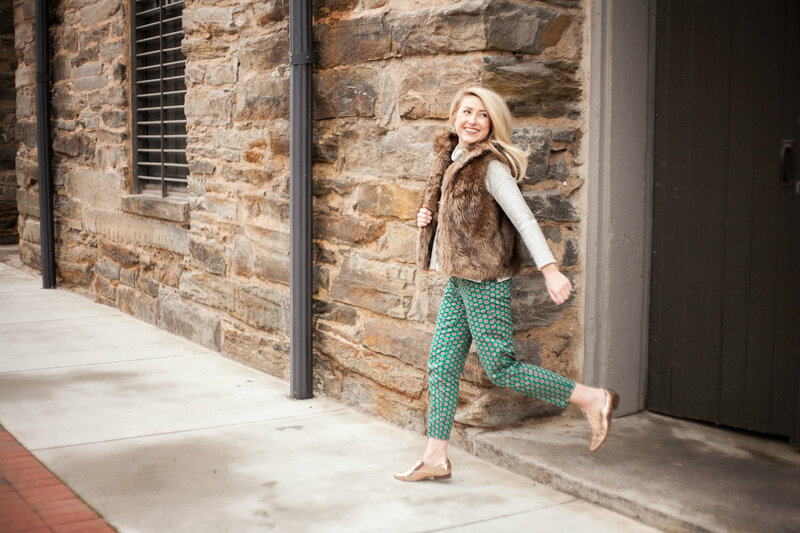 Totally love the vest and those printed pants! So funny – because I havent worn a turtleneck in about 10 years as well (maybe even longer), but they are popping up everywhere! So, I just bought one from Target and cant wait to wear it! Loving your vest! Gorgeous! The details of this look are to-die-for! From the glamorous earring to the metallic oxfords, I love how you paired everything together for a flawless finish. Great outfit girl! But seriously, those shoes are just plain stunning! Dying over those shoes!! Shiny and gold!! Perfect. Are they comfortable? I went a few years where I didn’t wear sweaters – they always were too itchy. Over the last year, I’ve become obsessed with sweaters! 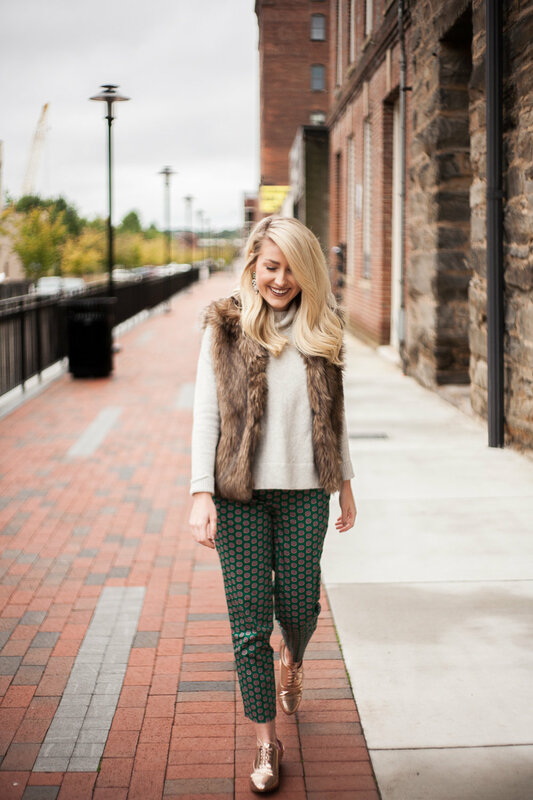 We’d love to have you link up tomorrow for our Tuesday Fashion Party Link-Up! Those oxfords are everything. I can see why you like them so much! I really love this look! Everything you paired here looks great! I ADORE those shoes! I hope you have a great fall break!!! 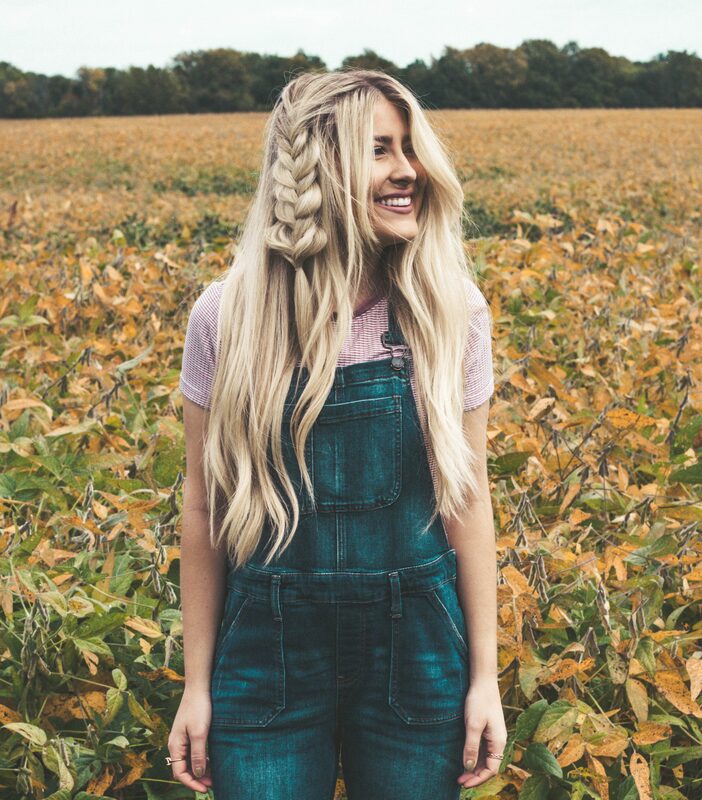 LOOOOOVe this look! Those pants are to die! This look is so classic and so chic! Those metallic loafers are killer…love everything about this look! OMG this look is fabulous!! I love those pants. The whole outfit just works. I also need those metallic shoes… Right now!! And your hair is gorg. Very pretty!